With an Annie Award now under his belt, "Mirai" director Mamoru Hosoda plans to soak in the excitement of being in Hollywood with other celebrated creatives ahead of the film industry's crowning event later this month, the Academy Awards. "The Academy Awards have a 91-year history, and I'm honored 'Mirai' will be part of that history as a Japanese film," Hosoda said at the Japan Cinema Celebration on Monday night, hosted by the Japanese Consul General in Los Angeles. "'Mirai' is a Japanese story, but it resonates with people from countries such as America, Germany, Thailand -- they feel it's a story that is similar to their own families and cultures," said Hosoda. "Although it's a story about children, it's one that can be understood internationally, which makes me happy." "Mirai," which follows a young boy who struggles with losing his parents' attention to his newborn sister, is an Oscar contender in this year's animation category. It picked up the Best Animated Independent Feature award at the International Animated Film Society's 46th annual Annie Awards in Los Angeles on Saturday. Hosoda, whose prior works include "Toki wo Kakeru Shojo" (The Girl Who Leapt Through Time) and "Ookami Kodomo no Ame to Yuki" (Wolf Children), drew parallels between his film and Japan's other Oscar contender "Shoplifters" -- nominated for Best Foreign Film -- as they both explore the dynamics of a Japanese family. Hosoda and "Shoplifters" director Hirokazu Koreeda both attended the Oscar Nominees Luncheon earlier in the day with more than 200 other nominees. Hosoda pointed out that since other animation nominees -- "Spider-Man: Into the Spider-Verse," "Incredibles 2," "Isle of Dogs" and "Ralph Breaks the Internet" -- are action films, the more than 6,000 Academy members who vote for the Oscar winners every year will have to either choose an action-packed film or the family-focused "Mirai." "Spider-Man" is seen as a lead contender for the Best Animated Feature Film award, as it won in all seven nominated categories, including the top prize, at the Annie Awards as well as picking up a Golden Globe award. The Annie Awards are seen as a predictor for the Oscars, which will take place Feb. 24, since four of the five previous Best Animated Feature Film winners have gone on to earn Oscars. "There weren't any animated films centered around family up till now. 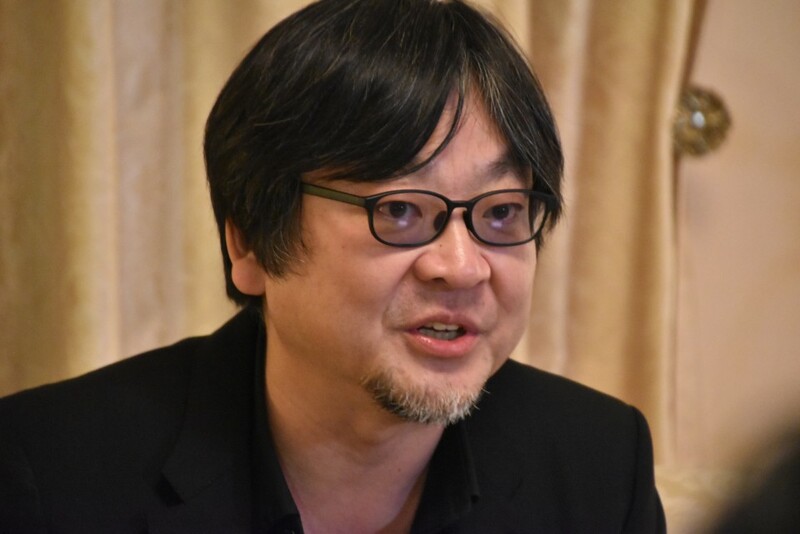 I feel like I'm doing something different," Hosoda said. "Shoplifters" producer Kaoru Matsuzaki shared that the film was intended to be a small, low-budget production that Koreeda's fans would appreciate. But after winning the prestigious Palme d'Or at the Cannes Film Festival last May, "Shoplifters" gained momentum on the international stage. "We were truly surprised (by the film's international success)," Matsuzaki said. 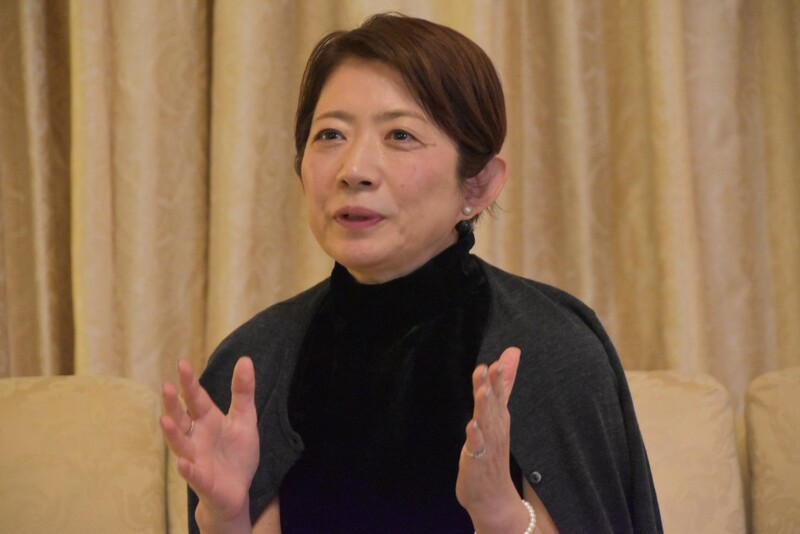 As for her confidence in "Shoplifters" taking home another award, Matsuzaki said, "We're competing against very strong films, and this is (Koreeda's) first (Oscar) nomination." "We just want to enjoy the festivities, since it's our first time," she added.